The original muscle car era was an almost mythical time in automotive history – cheap gasoline, lots of horsepower, and plenty of choices of inexpensive new performance cars. Like all good times such as the Roaring Twenties or the 1990s Tech Boom, they come to an end and usually abruptly. The sign of the end is the big bubble. In the case of the muscle car era what started as the under-the-table GTO performance option (that included a large displacement V8) for the 1964 Pontiac Tempest turned into a massive bubble by 1969. Every American automaker was cashing in on the craze. By 1970, heavy insurance premiums and upcoming new government regulations started the process of deflating the bubble. Automakers didn’t see it coming but soon realized the problem when sales figures were tallied at the end of the 1970 model year. 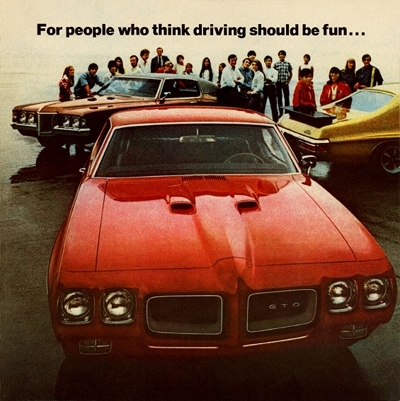 The Pontiac GTO which had started the craze only reached a 1970 production total of 40,149 units which was just 45% of the 1968 GTO’s production total of 87,684 units and 56% of 1969’s 72,287 production total. In 1970 Chrysler encountered a sales flop when it released what many consider its best muscle cars – the new Dodge Challenger and redesigned Plymouth Barracuda. These cars are revered and high sought after today, but back in 1970 they were slow sellers. Chrysler had done its market research in preparing for the release of these two cars which used its new E-body platform. It had expected to easily hit a production target of 300,000 units. Can you imagine the surprise when the model year ended and the production total was 125,802 units (76,935 Challengers and 48,867 Barracudas)? Additionally if you remove the 6-cylinder and lower-displacement V8 powered E-bodies and just stick to counting the performance models the production numbers drop way down into the abyss. Same was true with the Mustang which had a 1970 year production run of 190,727 (about 34% of 1965’s 559,451 production total). If you count only the performance oriented 1970 Mustangs, the numbers really drop. 1970 was indeed an eye opening year for American automakers. The cash cow was deeply wounded and if they thought 1971 would turn things around they were sadly mistaken. 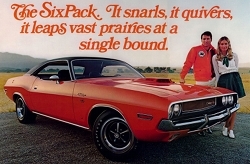 Muscle car production continued to tailspin through 1974. By 1974, the excellent profit margins on muscle cars was gone causing American automakers to sell them as low volume specialty cars. By 1975 most of the muscle cars were gone, even the once mighty GTO had bit the dust. New emissions regulations were now in full swing and “fuel efficiency” and “gas mileage” were the new buzz words. In retrospect the spear that pierced the muscle car bubble was high insurance rates. It was the youth market consisting of 18 to 25 year old males that purchased muscle cars during the golden era. They were the demographic group that was single and had disposable income to buy impractical performance cars. Muscle cars were inexpensive unless they loaded with a lot of options. In other words any high school graduate with a steady job could afford a new muscle car especially since financing was readily available. Unfortunately automobile insurance companies soon figured out the average young adult male behind the wheel of a high horsepower muscle car posed a much greater risk than the average male driving a regular car. This caused the start of crazy high insurance premiums for younger muscle car owners. As an example an 18 year old male high school graduate with a job and a brand new Chevrolet Chevelle SS in 1965 paid reasonable insurance rates. By 1970 a 18 year old with a new Chevelle SS was paying eye-watering insurance rates in comparison. It wasn’t uncommon for the cost of monthly insurance coverage in these cases to be substantially higher than the monthly car payment. That’s when the youth buyers threw in the towel and muscle car sales dove and never recovered. By the late-1970s muscle cars made a decent resurgence with the Pontiac Trans Am leading the way (116,535 produced for the 1979 model year) but the muscle car landscape had changed. First, most muscle cars were gone making the choices very limited. Second, average engine displacement size was down and horsepower was considerably lower. Third, high performance cars like the Trans Am handled and braked better and overall were more controllable under high speed conditions thus slightly less prone to accidents. Forth, muscle car buyers by the late-1970s were older more mature male drivers with good incomes who were less likely to partake in crazy behind-the-wheel maneuvers which could lead to accidents thus they had reasonable insurance premiums. This trend continued and by the mid-1980s the average Trans Am buyer was in his mid-40s. American automakers adapted to the changing market and loaded muscle cars with options and accessories making them low volume speciality performance cars that commanded premium prices over average cars. Even three decades later this has not changed. For instance the average 18-25 year old can’t afford a 2016 Chevrolet Camaro SS and its high insurance premiums anyone in this age group will usually have to wait until at least their late-20s or 30s before they can afford one and the insurance. 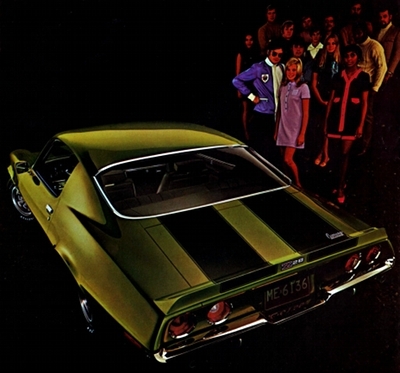 Back in 1968 the average 18-25 year old male could afford a 1968 Camaro SS (and the insurance) – most of those that purchased one were in this age bracket. Additionally in recent decades females have gotten more interested in muscle cars, it’s no longer a rare sight to see a woman driving a modern muscle car especially a Mustang GT or a Camaro SS. 1970 by many automobile historians is considered the pinnacle year of the original muscle car era. Not only were the 1970 model year muscle cars dirt cheap but they offered the highest horsepower ratings of their era. It was great year for the muscle car but it was also when the bubble burst – remember that and cringe when you pluck down your hard earned $40K+ for a new muscle car.